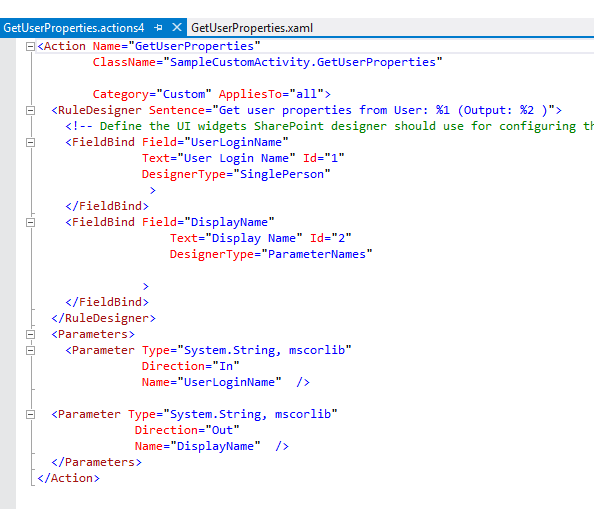 In SharePoint 2013 it is possible to create custom declarative activities (in Visual Studio 2012), that will be exposed and can be used in SharePoint Designer Workflows. In this way we can extend SPD OOB Workflow Activities. 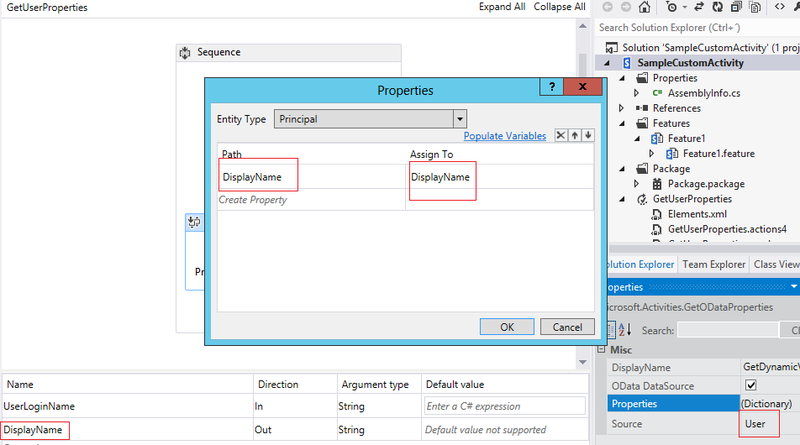 To create a custom activity, create an Empty SharePoint 2013 project and select the deployment as sandbox solution. Then you will need to create your Workflow Activity actions, use the ToolBox and drag the actions you need. In my case, I used the “LookupSPPricipal”, that receives a UserLoginName, and will get that user’s information from Sharepoint. The UserLoginName is defined as an input argument to my WF Activity. The output of this action will go to a local variable named “User”. 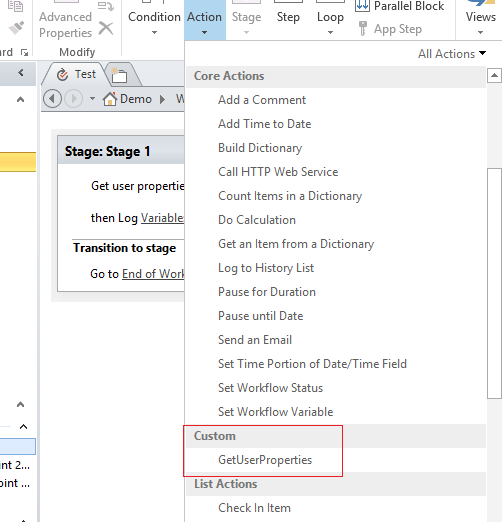 We need to configure the output and input parameters in the file “.actions4”. Great post, one of very few on the subject. My custom workflow action shows up in the list of actions in SP designer but I can make an instance of it appear in workflow GUI. do you know how to fix this? In one of my tests I saw my custom activity in SPD action’s list but when I selected that nothing happened. In that case it was my “.actions4″ file that wasn’t correct. Check if you have a sentence in your RuleDesigner. You can see my “.actions4″ in the post. No, I didn’t any GAC deployment neither changes in web.config. I just used a Sandbox solution and deployed from Visual Studio 2012. Did you check ULS logs to see if there is any error? 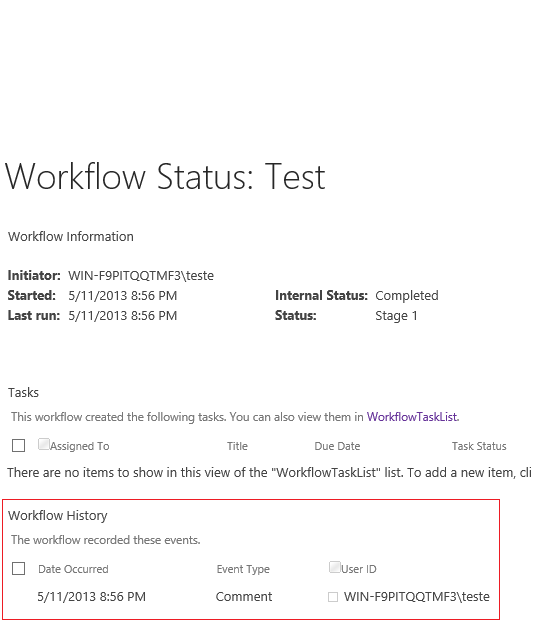 This is a Workflow 2013, and from this TechNet article, they are not available in Foundation. Fanks! I am try search in internet, but not find info. 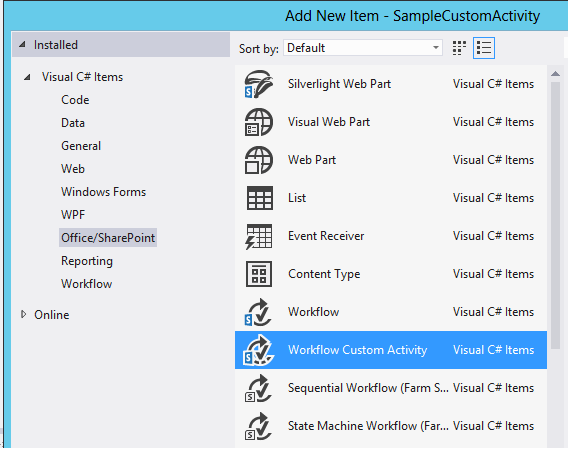 Can i create custom activity for Sharepoint Foundation 2013? May be you know? You should be able to create custom activities as you created in SharePoint 2010. 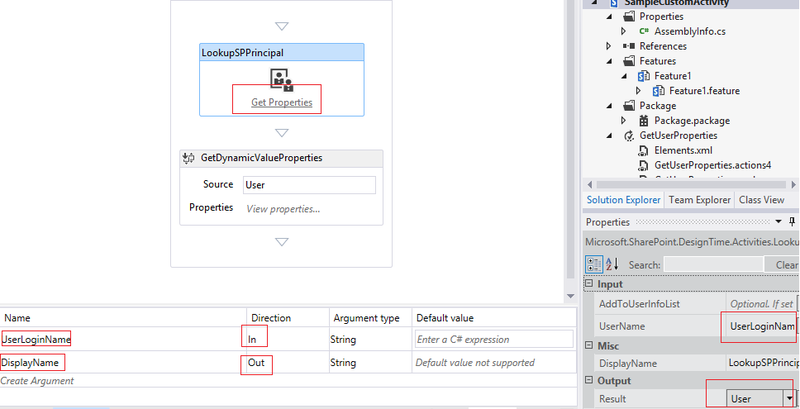 I don’t think you can create activities using SPS 2013 WFs plataform. Thanks for your post. You save my day for .actions4. BTW, can you debug it? I’ve separated Workflow Manager from the development machine (SPS + VS on the same machine). I stuck on Web page loading which takes forever. I also use “write to history” activities, to help me in debugging. Hope I can fix it soon and start debugging. OK. I’ve debugged my workflow action. Everything works perfectly. The problem I found is that the updated binary wasn’t deployed because I didn’t use SharePoint installation account for test deployment. I figured out this during package retraction (via Central Administrations) that my account had no permission to create such administrative timer job.